Develop in the school community concern and respect for the welfare of others, with specific attention to interpersonal relationships based on sensitivity, tolerance, cultural and racial respect and harmony, and goodwill. 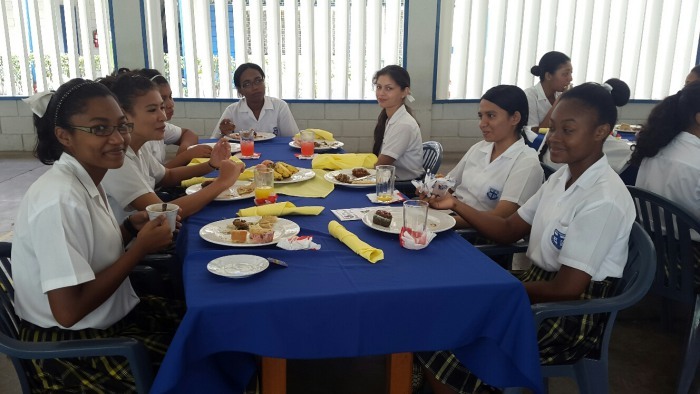 Provide the context for quality coeducational learning from the ages of 3 years 9 months to the completion of secondary school to Guyanese children and to children of Caribbean and other persons working and living in Guyana. Facilitate the total development of each individual by giving due attention to intellectual, spiritual, physical, social, emotional and moral dimensions. Provide children with a safe and happy environment in which to grow and develop to the best of their potential, so that they become self reliant and self-disciplined, interested and motivated in learning, and caring towards others, especially to those in need. Produce good citizens capable of taking their place in life and responding maturely to responsibility. This includes self-discipline, the exercise of initiative and concern for others expressed in good manners and in a spirit of generosity and service. Encourage the highest academic standards and to ensure that students of the Academy develop the skill of critical thinking through a curriculum that is flexible, relevant and meaningful to students at different stages of development. Develop a body of professional, adequately remunerated, motivated and exemplary staff committed to the ideals of the Academy and dedicated to the service of the students and their full development.